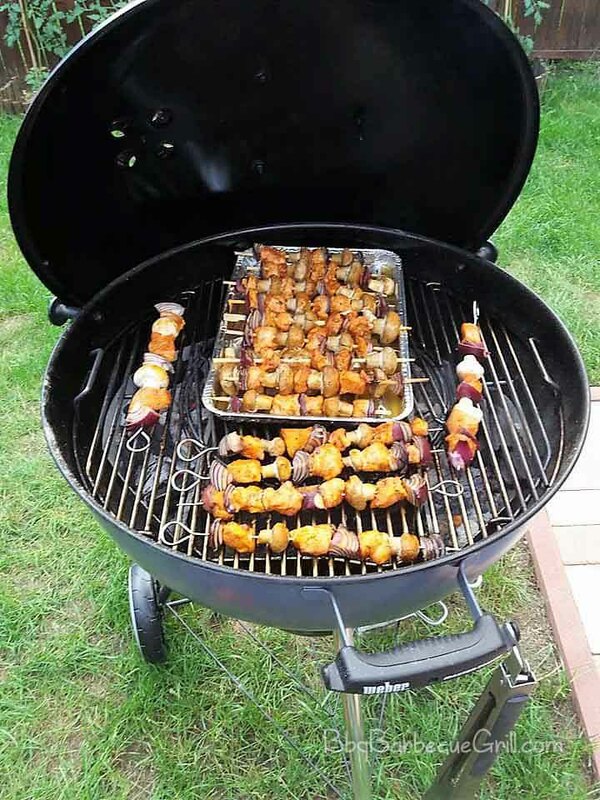 Home » Other » Versus » Charbroiled vs. Grilled—What to Expect from Each? Charbroiled vs. Grilled—What to Expect from Each? What’s the first thing comes to mind when it’s the summertime? It’s grilling season! Everyone like to grill steaks, chicken, turkey and much more! The organoleptic properties that grilling can impart are unparalleled to this day. When it comes to grilling, there’s a difference between charbroilers and grillers. Oh and, you might be using a charbroiler while confusing it for a “grill”! 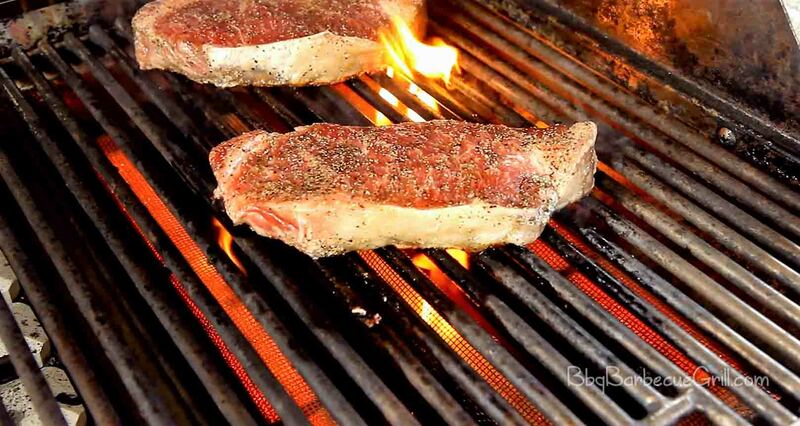 In this article, we’ll compare foods that are charbroiled vs. grilled foods. On a fundamental level, a charbroiler consists of a metal rib wireframe with equal gaps between each rib. The most distinguishing feature is an array of burners in the combustion compartment below the metal wire frame. They are large, flat and can be either a standalone countertop appliance or something that fit in large restaurant range. They commonly use natural gas or propane as fuel. Therefore, gas lines or propane tanks may directly connect to the appliance. Commercial charbroilers occasionally use infrared or electric energy, allowing for a cleaner operation. Charbroilers may use lava rocks over the gas burners to allow seasoned smoke essence in the food. However, an open lid style limits the amount of seasoning and taste. When Should I Use a Charbroiler? Charbroilers are made to grill hot, grill fast and grill large quantities of food. Neither grills nor stoves are any proper alternatives to them. They come in a wide range of sizes ranging from 12 inches to 84 inches wide. Thus they are usable both domestically and commercially. Restaurant charbroilers are distinctively larger. They handle large quantities of orders and require fast cooking in a commercial grade setting. The specific term “charbroiler” is mostly associated with commercial cookery. Grilling has a distinct soothing, seasoned taste of meat, charred spicy look, and strong charcoal aroma. Charbroilers bring ease of getting the features above through indoor cooking with good control. Charbroilers are distinctively designed to cook fast and with precision, to provide the customers with a consistent taste. Fast fact, burners of charbroilers is close and may exhibit 40k BTU heat individually. It allows for faster production and recovery. The infrared and electric operated model reduced even the cleaning aspect, quite substantially. These are the focus-on-business-get-fast-money kind of appliances rather than your go-to-picnic-and-have-fun type. You get highly responsive and consistent heating, with less time consumption. They also allow you to adjust the temperature at exact levels with valves and embedded temperature sensors. Coming towards the traditional side a grill is the first of equipment designed for making smoky meat with charcoal seasoning. A grill doesn’t vary a whole lot when it comes to the size. It contains a long and wide combustion box for charcoals with grates sitting over it. It also has an embedded lid. A lid is a very important part of a traditional grill as the source of heat is uncontrolled heated charcoals. The lid helps in controlling the temperature. It has cleverly placed smoke orifices to allow streamlining the smoke creatively for variable heating modes. Users can opt for even heating, searing for the crust or simply long-time heating on mild temperatures. 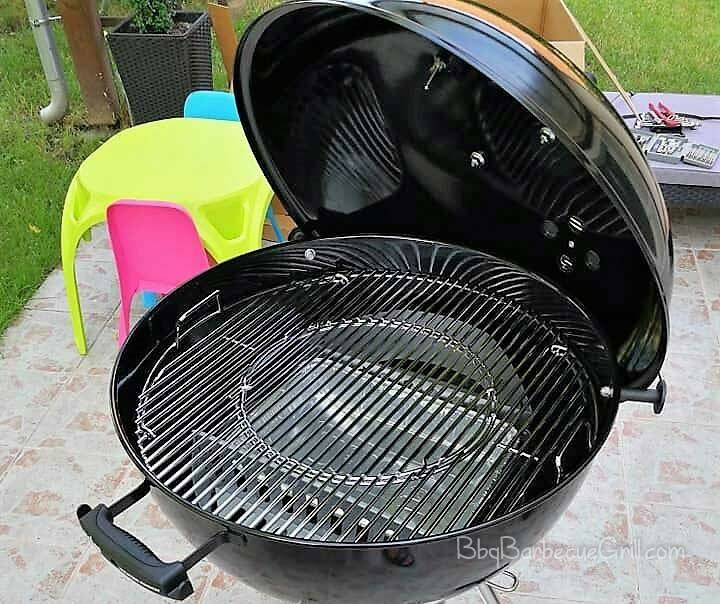 The lid also helps to entrap the flavorful smoke exhibited by charcoals and fusion them into the food for a pleasurable barbeque flavor. Traditional grills are used outdoors, and thus natural ventilation is enough for the smoke exhibited. You can also have an electric grill. More about electric grills can be found here (click). When Should I Use a Grill? Generally, you can use a grill domestically or on picnics, etc. A grill is still able to serve a large number of people per say. It just not well adapted for a whole bunch of daily customers in a restaurant requiring on-the-go delivery. Therefore, it’s usually used for low-scale cooking. Grilling on traditional charcoal based grills requires experience and planning. The charcoals take some time to get ready for heating the meat. Moreover, they need to be fanned, fueled and maintained temperature wise while grilling. Low and indirect heat cooks a big turkey or full chicken for longer periods of time while high and direct heat cooks you some crunchy chicken roast. Grill lid allows you to get creative and try different types of cooking like roasting, grilling or even baking and so on. Experience is also required regarding precautions and safeties as these grills aren’t the safest out there in terms of safety features. They’re not modern enough usually. A little mistake can cost lives as temperatures in a grill may rise to 1000 °F. In general, it’s best for picnics or when having a twilight family barbeque in your backyard. Grills and charbroilers use high temperatures through the concentrated direct heat to cook the food. Like most cooking processes, they require extra vigilance, to avoid burning your food. Both charbroilers and grills are manufactured with these main specific purposes. They give your food that tasty charred look and accentuate the caramelization. However, to achieve the same results, your grills work differently than the charbroilers. Charbroilers are installed indoors to bring that backyard grill’s taste inside, at your disposal. On the other hand, you have to place grills outdoor (unless it’s an electric grill). Traditional grills use charcoals under the grates to heat your food. Charbroilers may use gas, electricity or infrared to heat your food. Charbroilers are equipped with responsive valves to control temperatures accurately and even monitor it, through sensors. Grills use a more conventional method of placing your hand above the grates to gauge the heat. Charbroilers provide relatively consistent and faster heat and provide more control. However, grills can provide very high temperatures for good searing crusts. Grills may trap flavorful smoke from charcoal heated food through lid for the unique essence of charcoal. Charbroilers are the first choice for commercial-grade cooking as they’re larger than grills and handle large quantities of food. However, grills have mobility and are more useful in specific scenarios. For all you grill masters, we clarified the similarities and differences for charbroiled vs. grilled foods. Might you ask; a charbroiler or a grill for your house? We advise getting them both! Both have great opportunities and flavors. Gas produces instant heat and allows higher control. So if you come home tired, you won’t want to take those extra minutes to get the grill going. Just throw on your favorite food, torch it and devour. It’s quick, easy, efficient and clean. However, once in a while, you’d long for the scrumptious feeling from charcoal. Or you might host a picnic for your loved ones. The dripping from the stake or burger would then hit the flame and create that “pssst” sound. You’ll get endeared for your cooking skills and your loved ones, singing in the twilight, will get happy and full! Either way, there are many benefits to both. As a recreational griller, you are best advised to find what’s perfect for you and go for more whenever budget allows.